Your journey to health and fitness begins with seeing yourself as you want to be, believing it possible, and then pursuing it. 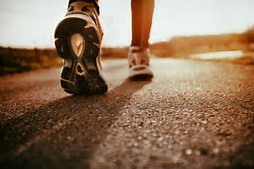 Taking steps toward your health goals. Pathfinder Natural Health will help you search out the underlying triggers contributing to your illness through cutting edge lab testing and tailor the intervention to your specific needs. Contact us by calling 843.940.7120 to discuss your requirements. If you would like to e-mail us, please complete our contact form and we will get back with you. Click on the link below to send us an email.